Your experience may differ if you use another bank as your main bank and use. I don't rely on this card and just got it for my credit score. Overall, it's...a card. Not a great card; not a terrible one. Does basic things for no annual fee for my basic needs. It's not raising my score as fast as I thought, in a way, but still nevertheless it's useful in a pinch. If, however, you rely on credits cards often, prefer more benefits, or are willing to pay an annual, this may not be your card. Can't speak on customer service because I've never had to call them about anything. As credit cards go this one has been a good experience. My credit wasn’t the best so I was surprised to get approved. My limit is low and even after having it a year and paying it on time and paying it off frequently the limit is still the same which is frustrating. Overall though I’ve had no huge complaints. I have had this card for almost two years. The application process was easy, I was approved quickly and received my card without issue. Balance transfer was easy too. My only issue is that there is no notification when the 0% APR on purchases and balance transfers time period ends. Without warning, my monthly minimum payment skyrocketed from $137/mo to $399/mo, which is totally unmanageable for me. Eventually I will get it paid off and then I won't touch it again. Applied 12/30 received a phone call 1/10 and had to verify some information so they could ensure it was me whom applied. Was approved on the phone for a starting CL of 2K. CK scores were TU 662 EQ 652, My Exp 653 Fico 701. Approval odds on CK were “Fair” but I was instantly approved the same day for the AMEX cash everyday card for 2K so I tried anyways! TU 651 & EQ 652 - CK app said I had good approval odds for the Chase Freedom Unlimited and very good approval odds for CapOne Quicksilver. I applied for CapOne Quicksilver but I got the “Answer in 10 Days” response. Both scores dropped by 3 points. I was in my Chase app and I had several preapproval offers. I applied for the Chase Freedom Unlimited and was approved instantly no dings to my score. 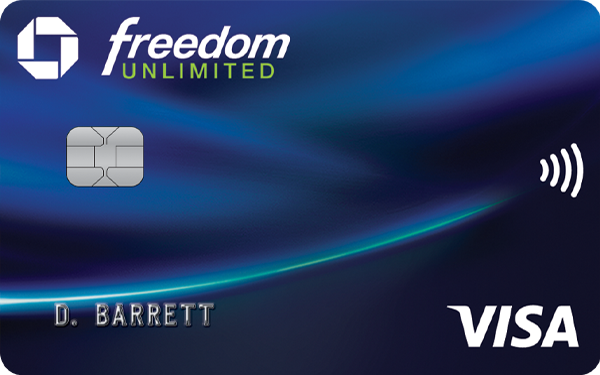 My card will be here in @ 5 days but I only plan to use it to pay a small bill to boost my score further. What credit limit were you approved for? $2,800 limit with 0% interest rate for 15 months. And your score didnt drop??? ?